The Homeschool Buyers Co-op is pleased to present GroupBuy savings for a 1-year subscription to the award-winning ST Math from MIND Research Institute, a leader in visual math instruction. See the Math and Grow! ST Math® is a visual instructional program that builds a deep conceptual understanding of math through rigorous learning and creative problem solving to deeply engage, motivate, and challenge Pre-K-8 students toward higher achievement. 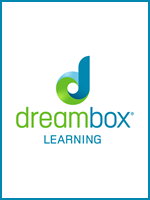 Learn more at stmath.com. Deep Conceptual Understanding: ST Math starts by teaching the foundational concepts visually, then connects the ideas to the symbols and language. With visual learning, students are better equipped to tackle unfamiliar math problems, recognize patterns, and build conceptual understanding. Without language barriers, the problem is accessible to all students, regardless of skill level or language background. Impact at Scale: Across the country, ST Math schools are living proof that an effective digital learning program can make a real impact. ST Math benefits every level of student: struggling students grow to become proficient, while proficient students become advanced. ST Math leads the industry in providing educators results with authenticity, transparency and clarity. Personalized Learning: Over 200 visual games create a unique pathway of interconnected content challenges to provide differentiated instruction for individual students, regardless of skill level. Student Engagement: The very experience of solving tantalizingly tricky puzzles is intrinsically motivating. In doing so, students develop a conditioned response that drives them to take on the next challenge with energy and enthusiasm. Creative and Rigorous Problem Solving: ST Math’s standards-aligned learning program moves students away from mere digitized math drills and puts them in the mindset to think creatively. Challenging games help kids explore non-routine problems and build number sense instead of memorizing disconnected facts. 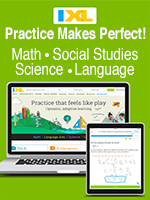 You don't need to be an expert to use ST Math in your homeschool. Check out the support offered for homeschool teachers. 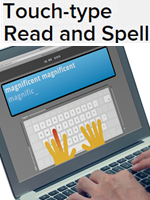 Visit the ST Math website for more information. Review research results for ST Math. Read our answers to Frequently Asked Questions from other homeschool parents. 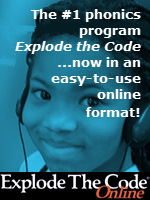 See what ST Math covers at your child's grade level. Fulfillment: Within 15 minutes of receiving your order, the Co-op will send your order information to MIND Research, publishers of ST Math. Please allow 1 business day for them to send you a welcome email for every student you enroll with instructions for getting started. If you don't receive the email, please check your Spam folder. 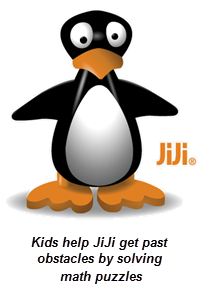 If you can't find it, please contact MIND Research directly at homeschool@stmath.com. Returns/Cancellations: If you are not completely satisfied with ST Math, you can request a full refund if you do so within 30 days of the date of purchase. Submit your cancellation request at our Contact Us page. You will receive return instructions via email and/or phone. U.S. Members Only: We're sorry, at this time ST Math is only available to U.S. residents, including U.S. military families and U.S. territitories and protectorates. Your ST Math Primary Subscription gives one teacher and one student access to ST Math for one year. If you would like to make ST Math available to additional students in the same family, please order an "ST Math Additional Subscription" below for each additional student. Note about Renewals: If you want to renew your ST Math subscription, please do so via the "Renew" link in your Co-op account on your "My Subscriptions" page. Please find out more about what ST Math offers for students at your grade level. Ensure that you have selected a Qty of 1. Enter the required information below. Complete and submit the rest of the order form below. Note: Select the grade level at which you think the student should begin. You can change that after you start your subscription, if need be. If you have a high school student (grades 9-12) who is struggling with math, select "HS Intervention." Within 15 minutes of receiving your order, the Co-op will send your order information to MIND Research, publishers of ST Math. Please allow 1 business day for them to send you a welcome email with instructions for getting started. If you don't receive the email, please check your Spam folder. If you can't find it, please contact MIND Research directly. Select this to give one additional student in the same household access to ST Math for one year. If you would like to make ST Math available to additional students in the same family, please order an additional "ST Math Additional Student" below.